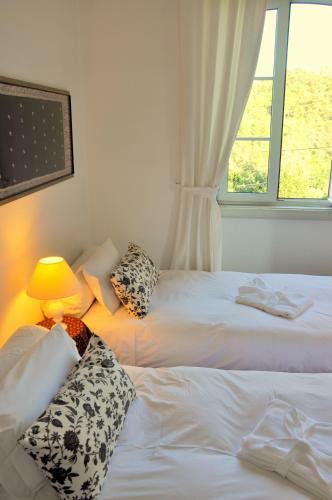 Villa Mira Longa guest house price per day from € 130 Exquisitely decorated, this traditional guest house is located in scenic Sintra and has a lush green garden, as well as mountain views. The property features accommodation in bright rooms which have restored antique furnishings. Sintra Hill Flat Sintra Hill Flat is a self-catering accommodation located in a quiet area in Rio de Mouro, 7 km from the town of Sintra. Featuring a shower, the private bathroom also come with a hairdryer and a bidet. In addition guests can try the restaurants within 200 metres..
Sarrazola Hostel price per day from € 72 Featuring free WiFi throughout the property, Sarrazola Hostel offers accommodation in Sintra. Quinta da Regaleira is 6 km from Sarrazola Hostel, while Sintra National Palace is 6 km away. Casa Miradouro price per day from € 63 Situated 500 metres from the National Palace, this hotel offers a well-kept garden overlooking the Palacio da pena and the Quinta da Regaleira. 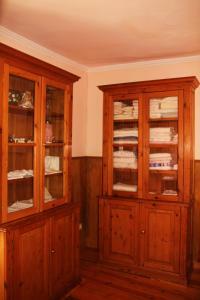 Each room has a private bathroom with a hairdryer and bathrobe. 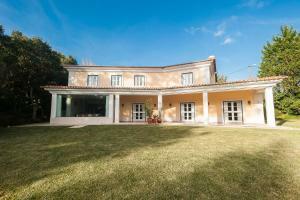 With Cascais being a 30-minute drive away, guests can easily go to the beach for a daytrip..
Silvestre House Silvestre House offers accommodation in Sintra, 400 metres from Sintra National Palace and 500 metres from Quinta da Regaleira. 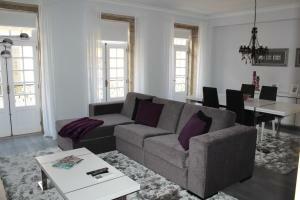 The property is 800 metres from Moors Castle and free private parking is featured. Quinta Alto Bonita AL . 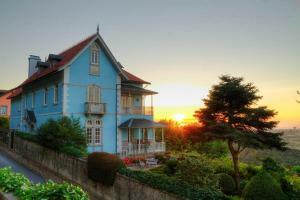 Hotel Sintra Jardim price per day from € 50 This 150 year-old residence is surrounded by a garden with a swimming pool and offers view of Sintra’s Moorish Castle. They also have a work desk and a satellite TV, and some rooms have French balconies or garden views. Younger visitors can enjoy themselves with table tennis and the small playground..
Sintra Small Hostel The Sintra Small Hostel is a 2-minute drive from the historical and scenic Sintra centre. This themed hostel features permanent exhibits dedicated to traditional Portuguese household items and is 5 minutes’ drive from the Moorish Castle. 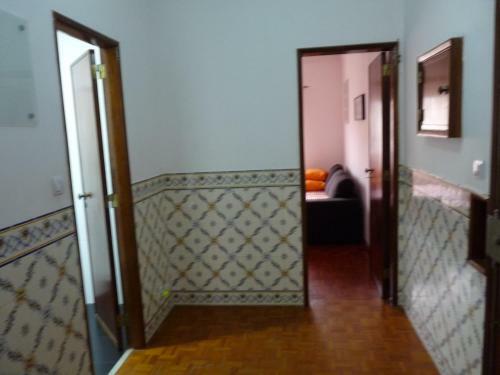 The Sintra Small Hostel has several restaurants available within a 200 metre distance. 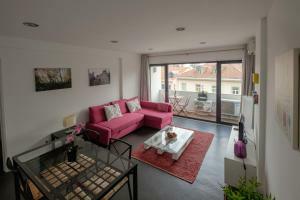 Espaco Edla price per day from € 50 This bright, modern accommodation is opposite Estação de Sintra Train Station and less than 1 km from the historic centre of Vila de Sintra. 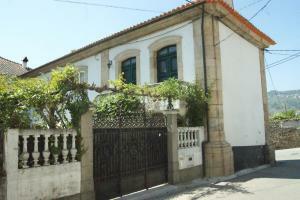 The individually-decorated rooms at Espaço Edla include air-conditioning and a cable TV. Guests can try the local food and beverages from the gourmet bakery and tea house on site..
Chalet Relogio price per day from € 45 Historical mansion Chalet Relogio was designed by Italian architect Luigi Manini, who also planned the Escala in Milan. Under a new management and recently renovated, the hotel features rustic accommodation overlooking Sintra’s Valley and the Moorish castle. When the weather allows, breakfast can be enjoyed on the balcony over the garden, taking in the view of the Hill of the Moon (Mount Sintra).. Guest house VC17 price per day from € 55 Featuring free WiFi and a barbecue, Guest House VC17 offers accommodation in Sintra. Some units feature a seating area where you can relax. Bike hire is available at this guest house and the area is popular for cycling. 1. Head west on Av. José Elias Garcia toward Rua Ponte Pedrinha. 2. At the roundabout, take the 3rd exit onto Av. José Elias Garcia/N117. 3. At the roundabout, take the 1st exit onto Av. Dr. Francisco Sá Carneiro/N117. 4. At the roundabout, take the 3rd exit onto N117. 5. Take the IC19/CREL ramp. 7. Take the exit onto A16 toward Sintra Centro/Mafra/Ericeira. 8. Take exit 8 toward Sintra Centro/Colares. 9. Continue straight. Go through 1 roundabout. 10. At the roundabout, take the 2nd exit onto Av. Dr. Desidério Cambournac. 11. Av. Dr. Desidério Cambournac turns right and becomes Av. Heliodoro Salgado. Destination will be on the right. Golf club Penha Longa (Atlantico), 4.6 km from the centre of town of Sintra. Golf club Belas, 8.3 km from the centre of town of Sintra. Golf club Quinta da Marinha, 12.4 km from the centre of town of Sintra. Golf club Oitavos Dunes, 13.4 km from the centre of town of Sintra. Museum Gulbenkian, Lisbon, 20.7 km from the centre of town of Sintra. Miradouro da Senhora do Monte, Lisbon, 23.2 km from the centre of town of Sintra. Oceanario de Lisboa, Lisbon, 25 km from the centre of town of Sintra.